All NPL members are welcome to register. Registration closes Dec. 15, 2018. Clubs can also sign up via club team enrollment upon contacting Karen@floridapremiership.org. 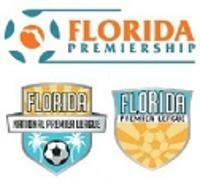 The Florida Premiership Showcase League is designed for all NPL players who wish to be seen by college coaches in the spring and to create more games for teams that are only playing in Florida Cup 2019. The 2019 Jefferson Cup will be held in Richmond, Va., on March 9-10 for 10-U through 15-U boys and March 16-17 for 10-U to 15-U girls. The 15-U to 19-U girls will be featured March 22-24, while the 15-U through 19-U boys will be hosted March 29-31. Top NPL teams are encouraged to participate in the annual event. More details are available here. View a list of college coaches that will be in attendance. The 2018 Sam Shannon Showcase was held at Mohawk Sports Complex and Titan South facilities, in Tulsa, Okla., Nov. 17-18. The showcase offers a three-game round robin structure for 15-U through 19-U boys and girls. As a new addition in 2018, Red River NPL and Central States NPL have created an NPL specific division. 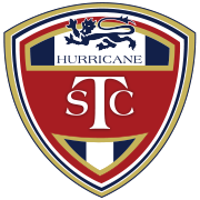 The event is hosted by TSC Hurricane. The 2019 St. Louis Scott Gallagher Boys College Showcase will be held in St. Louis, on April 5-7. This showcase is a component of Midwest Developmental League programming. The 2018 Lake Norman SC Showcase was held Dec. 7-9 in in Mooresville, N.C., for 16-U to 19-U boys and girls. UPDATE: The event has been postponed due to inclement weather. The 16th annual PDA Boys College Showcase, for ages 16-U to 19-U, was held at the PDA Soccer Complex in Zarephath, N.J., on Nov. 23-24, 2018. The 2018 PDA Girls College Showcase for 14-U (invitational) to 17-U age groups occured in May 26-28, 2018. Results may be accessed here, and a list of college coaches who attended may be accessed here. The 2019 Surf Cup represents the fifth year of the US Club Soccer / Surf Cup partnership. The 2018 event was held July 28-30 for 15-U to 19-U boys and girls. 10-U through 14-U boys and girls played Aug. 5-6. Top NPL teams are encouraged to participate in the annual event.